We offer to cover full soundtrack and all audio works on your animated or any filming project. The duration of animated sequence is up to 30sec, and if you need more then 30 sec please check the optional add-on service, for much longer projects please make contact I am sure we can find suitable solution. This service will cover unique music peaces dedicated to your project (usually 5 short musical sequences goes in 30sec) also sound effects and sound design. We do not cover V.O. in this offer that service is possible but not covered with this offer. However if you have prepared V.O. in acceptable format we will gladly mix it all together. This offer also includes audio mixing, audio edit and audio enhance and audio video mix for reference (480p wide screen) . Audio video mixing and sync is possible but not covered with this offer please check add-on. The delivery will include file format of your choice up to 96khz 24bit , one mastered file, one mixdown file and/or mp3 file if needed. Please contact me before ordering just in case that all about your requirements is clear to me!! Looking forward to receive your order! Really happy with the quality of work and a pleasure to liaise with. Thank you! I am experienced audio producer working in real studio environment. 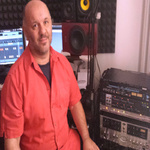 Studio is set for all kind of audio works from cinematic production to audio corrections and editing, composing,...Read moreI am experienced audio producer working in real studio environment. Studio is set for all kind of audio works from cinematic production to audio corrections and editing, composing, arranging, mixing and mastering. We offer also our recording services from our team of pro-musicians and vocalists. We can deliver very professional and creative work ready for publishing and broadcast with highest studio standards.